A unique team which combines expertise in Behavioral Science and Change Management. The BVA Nudge Unit team is formed by high level consultants sharing a strong knowledge in applying Behavioral Science to businesses and public policy challenges with specific expertise in change management, leadership coaching, research, sectorial experts, design, communication, training… Thanks to our very unique, multi-dimensional composition, we are able to create a dedicated ad hoc team relevant to the specificity of each project. Eric Singler is the Founder, President and CEO of BVA Nudge Unit. He is also the Global Managing Director of the BVA group which is a top 15 global marketing research and consultancy firm (www.bva-group.com).Eric is a “slasher” : he is both an entrepreneur, an expert in marketing & marketing research, a pioneer in Applied Behavioral Science and an author & lecturer. 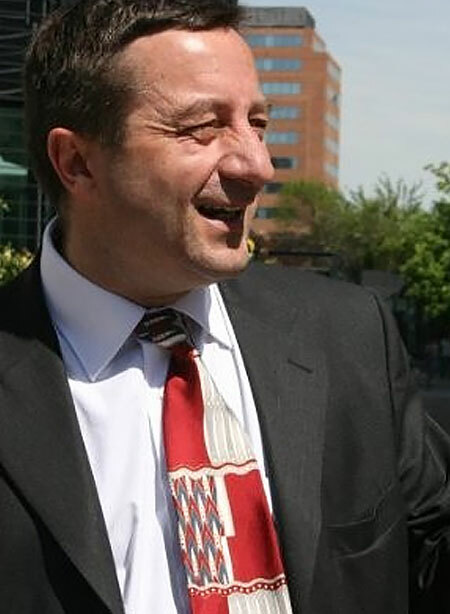 After starting his career as a Marketer for a global company, Eric created his first company in 1989, IN VIVO – now PRS IN VIVO (www.prs-invivo.com) and part of the BVA group – in the area of Marketing Research. But beyond entrepreneurship, Eric is passionate about bringing Behavioral Science to Business and Social entities to drive efficiency. He has discovered the works of Daniel Kahneman – and more generally Behavioral Economics – in the middle of 2000 and has become a pioneer in applying behavioral economics learnings and Nudges to win at behavioral change – first in France and around the world – with public policies, Fortune 500 companies, NGO and international organizations. Eric is also the founder and President of the NudgeFrance association and the owner of the LinkedIn group Behavioral Economics for Marketers.He is the author of 3 books specializing in the application of Nudge: “Nudge Marketing”, “Green Nudge” focused on sustainability and “Nudge Management” focused on creating better work environments. 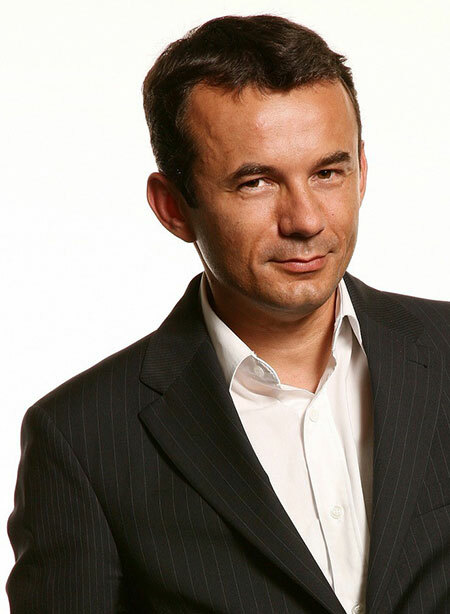 Eric regularly lectures in Business Schools, Universities (Dauphine, INSEAD, HEC, Toulouse…) and is also an inspiring keynote speaker in international conferences in Europe, US and Asia (TMRE, IIex,..). 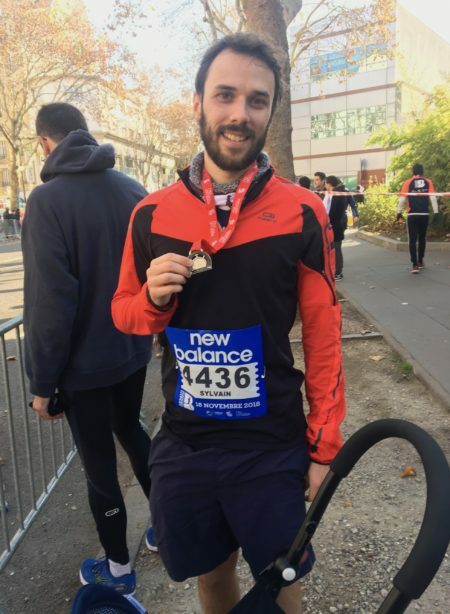 He is graduated from Sciences Po-Paris in Economics and Finance, Dauphine University in Marketing and Social and Political Communication from Sorbonne University. “Long live Behavioral Economics“, “Nudge is beautiful” and “Our clients are the best” are not the only slogans I love. My preferred one is : “Ici c’est Paris ! “, especially when Zlatan Ibrahimovic was trying to scream it (https://www.youtube.com/watch?v=5SfSI1ysGtg) after the French football championship victory of PSG in the Parc des Princes. When we win, which is quite often…also with our national team (a quick hello to my friends in Argentina, Croatia and Belgium…), I am not against one (or two) glasses of Saint Emilion Chateau Angelus wine to start a good evening with friends and family (including my daughter who is a fan of soccer) and some Sauternes Chateau La Tour Blanche to not loose good habits, before a walk in some places like Toscany, El Nido, New York, Bora Bora or La Havane… As Winston Churchill claims : “My tastes are simple: I am easily satisfied with the best”. I wish you the best! 99 : The administrative number of Stephane’s birth department, in the middle of the Algerian desert. 4 children : Jonathan, Florian, Remi and Théo : pure joy ! 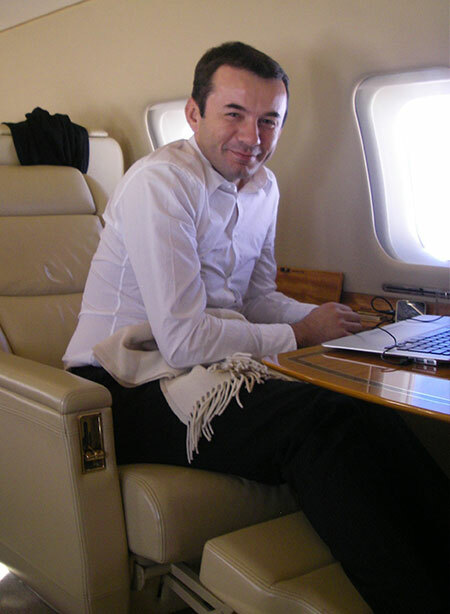 14 years : as a deputy chairman for Havas Paris, accompanying the leaders of both public and private sector biggest organizations, and as an adviser to Vincent Bolloré. 5 years as the founder of the firm Le Pouvoir des Idées, to help brands and leaders to step in and grow in the New World. 2 years to understand human behavior with BVA’s Nudge Consulting. 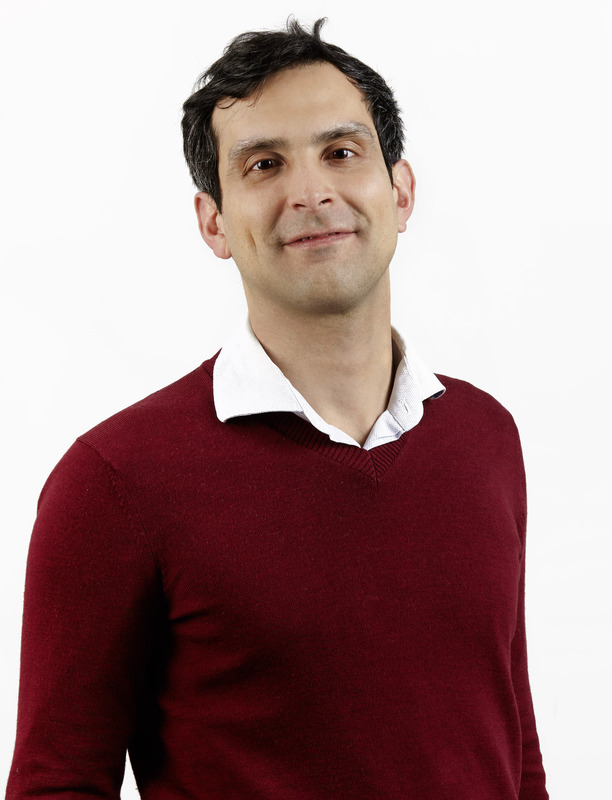 Étienne is Director of the BVA Nudge Unit, which he co-founded in 2013. In this context, he accompanies numerous public and private actors on behavior change issues. 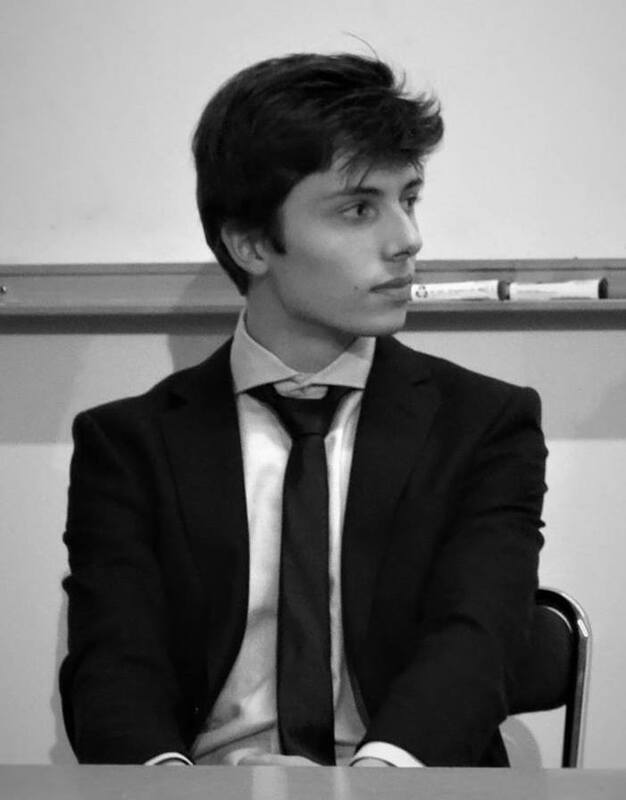 Normalian, Associate of Economics & Management, Doctor in Management Sciences, he has been Master of Conferences at the University and in several Grandes Ecoles (HEC, CNAM…), before joining BVA Group in 2011. 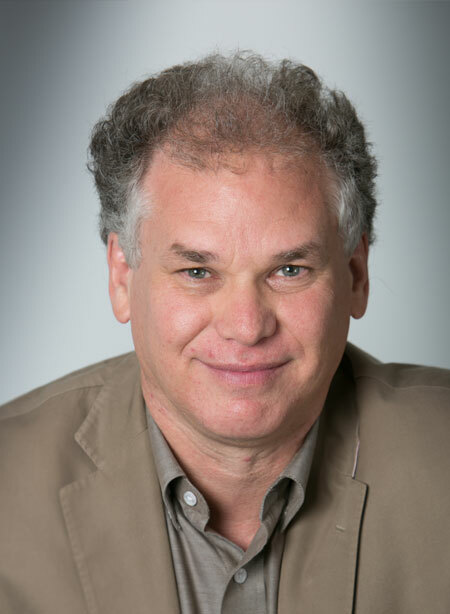 Behavioral specialist, he is the author of numerous academic and professional publications and has written a doctoral dissertation on the link between intention and behavior. 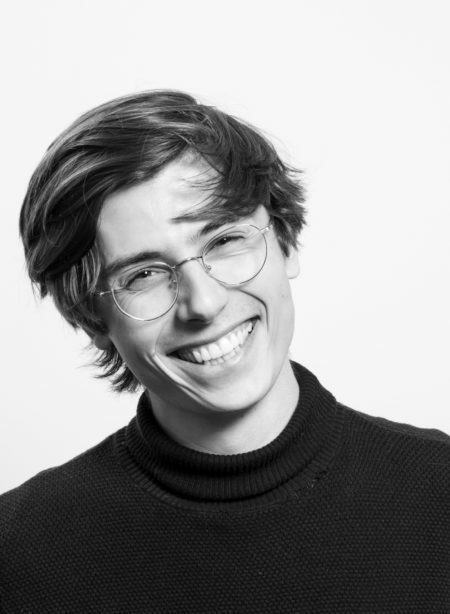 Etienne is also Co-Founder and Treasurer of NudgeFrance, an association in which he actively participates in the organization of Nudge Challenges. 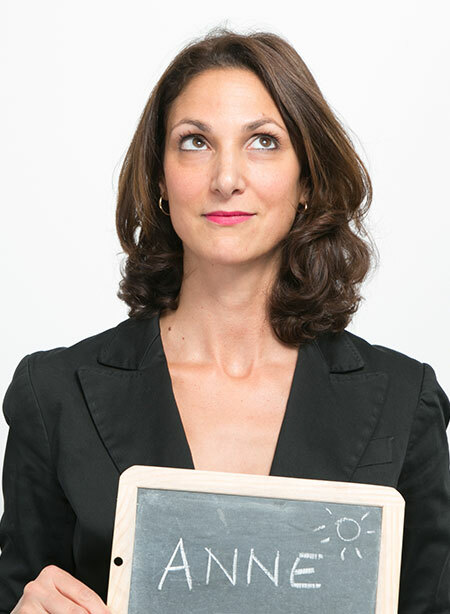 TEDx speaker, Etienne regularly speaks in conferences on Nudge and behavioral economics. Anxious to ensure a real coherence in his life project, Etienne applies (and tests) the principles of Nudge within his family home. He has successfully reduced the size of plates and cereal bowls to help his loved ones eat better. An outstanding cook, it is not uncommon to see him prepare “x-ray carrots” and draw a face on an egg with some ketchup. Of course fly stickers adorn the urinals of all the places he goes, from his home at the Palais Brongniart to the airports. He has managed to nudge himself to exercise and is testing nudges to encourage his children to clear the table after family meals. Apart from that, he has an ordinary life. Scott Young is the CEO of the BVA Nudge Unit – UK and a Senior Vice President of the BVA Group. He assumed these roles after 20 years leading PRS (Perception Research Services) and later PRS IN VIVO, a Top-25 global shopper insights agency serving clients such as Unilever, Colgate and Pfizer, among many others. Scott is the author of two books – Winning at Retail and Starting with the Shopper – and he frequently speaks at Insights, Marketing and Design industry events and guest lectures at MBA programs (including Wharton, Northwestern and Notre Dame). Scott is passionate about finding “win-win-win” opportunities (that benefit companies, consumers and society) – and in applying behavioral science to help individuals and organizations make better decisions and adopt healthier, more sustainable habits. Scott is a graduate of Duke University and the Kellogg School at Northwestern. 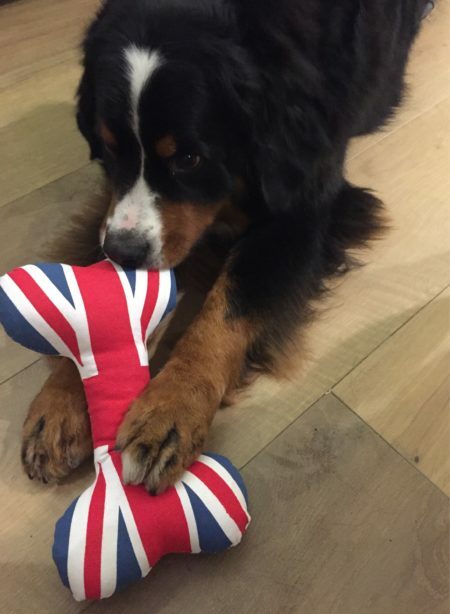 He lives in London with his wife, son and a very big Bernese Mountain dog – and misses his daughter, who is at university in the U.S.! He’s also regularly seen walking – or perhaps being walked – by his big, friendly Bernese Mountain dog, Bruder. Scott and Bru can be found in Holland Park at all times or day or night, often with a coffee in hand. After completing degrees in Journalism and Theatre, Ted ventured to China to work on the China Daily, China’s official English-language daily newspaper and later at a luxury lifestyle and design publication in both Beijing and Shanghai. What was meant to be 1 year in China turned into 13 years in Asia, when Ted next ventured to Singapore and entered the market research industry with Flamingo. Soon after he broke off on his own with a small research and consulting practice that later joined forces with Asian Strategies, focusing on B2B, luxury and travel destination research and consulting. Ted then took a break from consumer insight and co-founded Korla, an interior textile company that satisfied his creative leanings and gave him a taste of start-up life. 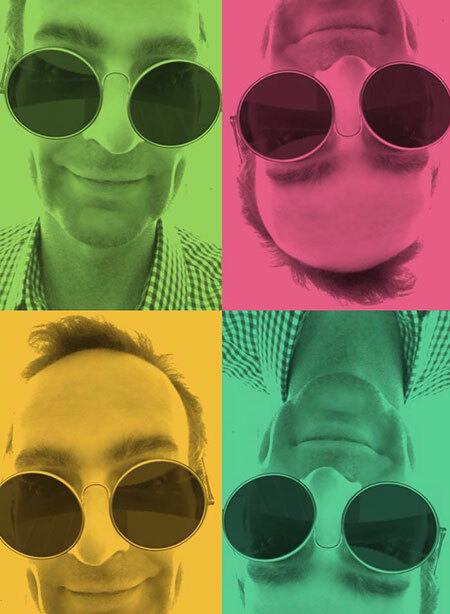 In 2013 Ted joined PRS IN VIVO and led the qualitative practice for Asia Pacific. He then joined the London team in 2017 driving business with clients looking to learn more about shopper behavior and nudging. At last count, he has lead research initiatives in over 25 countries. 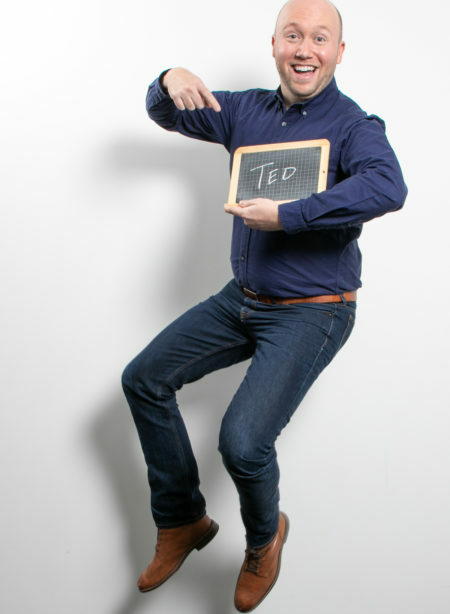 Ted helped to launch the UK Nudge Unit in 2019 and serves as Vice President from our London office. Ever eager to stamp his passport, Ted is always dreaming of the next destination. Funnily enough the small towns of the American Midwest where he grew up, can seem as exotic as far flung Southeast Asian islands after 15 years away from home. Ted happily stumbles through a number of languages he speaks poorly to get him off the beaten path and under the skin of the place he’s exploring. He typically can be found rushing to the last flight out with some sort of local alcohol or something artistic to hang on his wall crammed into his suitcase. Ted’s roots in theatre and journalism fuel his curiosity of uncovering human motivation, the actions we take, and the barriers that stand in our way. Some particularly tough barriers for Ted to overcome include: peanut butter, historical documentaries and a well-crafted cocktail. After 20 years spent with numerous corporations (Vinci, AD) developing infrastructure projects and implementations, Xavier became passionate for Behavioral Science, bringing his expertise to many companies as a consultant. In 2009, he created Recursos Limbios, the first Behavioral Consultancy agency in Latin America, revolutionary in the domains of infrastructure, sustainable development and finance. In the latter part of 2017, he joined BVA Group to establish the BVA Nudge Unit LatAm beachhead, locally activating projects and client relationships that draw on the greater resources of the Nudge Unit’s global network. Fascinated by the nudge, Xavier lectures, teaches courses, conducts workshops and conferences in the major Chilean Universities. He’s a founding member and the president of the Chile Nudge Foundation. Living in Santiago for almost 30 years, he is barely recognizable as to whether he’s French or Chilean, especially from outside appearances. He manages to keep his Burgundian training in wine consumption thanks to the products of Casablanca, Maule and Colchagua valleys. He thinks of himself as an adept chemist. He experiments by cooking using the produce from his own garden, and he dabbles by making his own soap and by dreaming of distilling his own gin. Always with the ingredients he can forage, of course. Jenic currently serves as the Executive VP of BVA Nudge Unit USA. She is in charge of strategy and business development, and is an active facilitator & consultant to her clients. Her most satisfying project to date has been working with the United Nations on mobilizing men across the globe in favor of gender equality through nudging the HeForShe movement. Prior to joining the BVA Nudge Unit, Jenic developed and led the global Qualitative Research arm of PRS IN VIVO, an insights company specializing in shopper and consumer behavior. 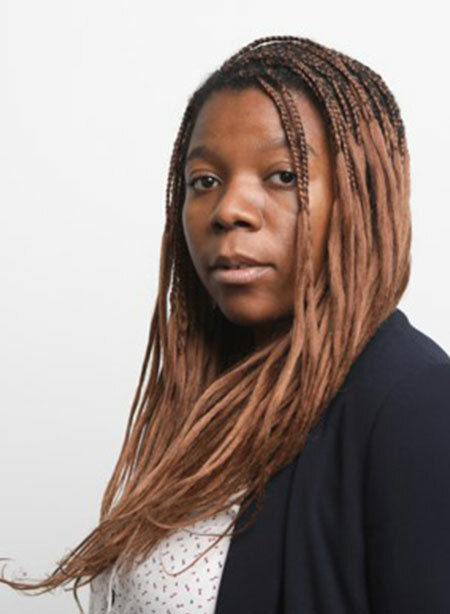 She was responsible for designing qualitative methodologies that bridged the gap between claimed and actual behavior through innovative techniques and technologies. 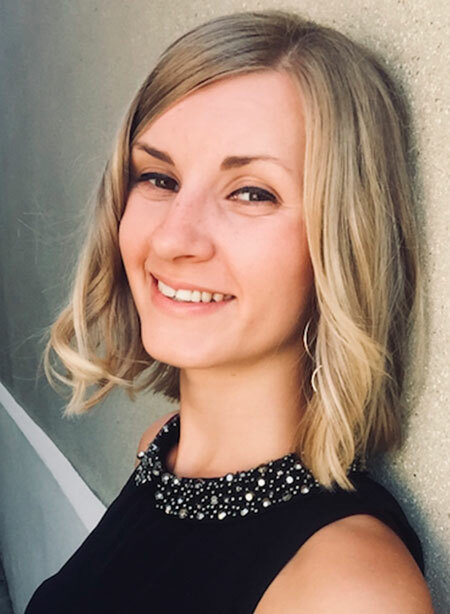 Jenic’s passion for understanding behavior can be traced as far back as her undergrad studies, when she received her BA in Psychology and a BBA in Marketing and Organizational Behavior/Business Policy from Southern Methodist University. She also recently completed both Harvard and Yale’s Executive Programs on Behavioral Economics. Jenic is a seeker and has an insatiable curiosity for anything and everything related to meta-physics. Her journey has led her to explore the world, from remote temples in China to the dense jungles of the Amazon. However, this has only led her to fully understand the true journey is from within. The biggest challenge she faces these days occurs while shopping on Amazon, and whether she orders another book from Wayne Dyer – or the latest Nudge Management book from Eric Singler (*extra points for the mention*). 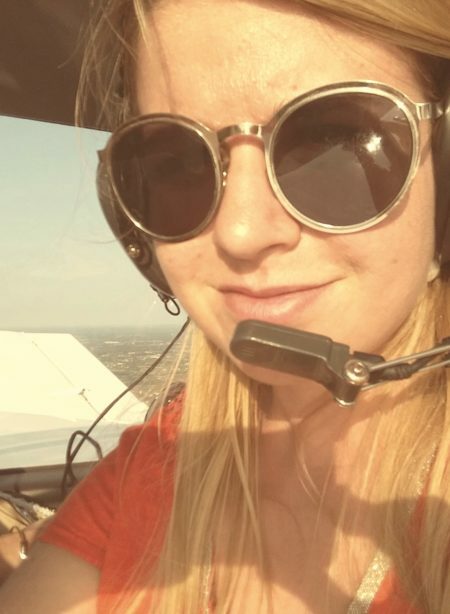 Beyond ensuring that her new office space comes complete with a sound healing room and ayurvedic meals for maximum employee wellness, Jenic would love to find ways to integrate meta-physics with Behavioral Science for an even more holistic approach to human (and soul) behavior. Héber is passionate about geography, maps, traveling the world and experiencing different cultures and gastronomies. He is also very much interested in taking inward journeys through meditation and is constantly exploring the borderlands between the internal and external worlds. 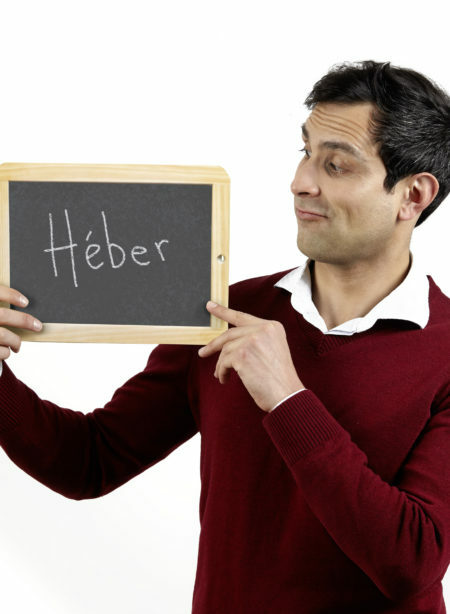 Héber is also an avid student of foreign languages—he speaks English, Spanish, Portuguese, French, Catalan und ein bisschen Deutsch—and enjoys playing musical instruments, especially his accordion. Perhaps his biggest obsession, however, is with squash (the racquet sport, not the vegetable… although he enjoys those, too). An activist involved in public action, Anne has participated for 15 years in the development and implementation of useful and effective public policies with local and national elected representatives (i.e., communities, parliament, ministries, etc.). She now applies her know-how and experience to the service of public and private leaders, who wish to increase their notoriety, give life to their strategy and motivate their teams. 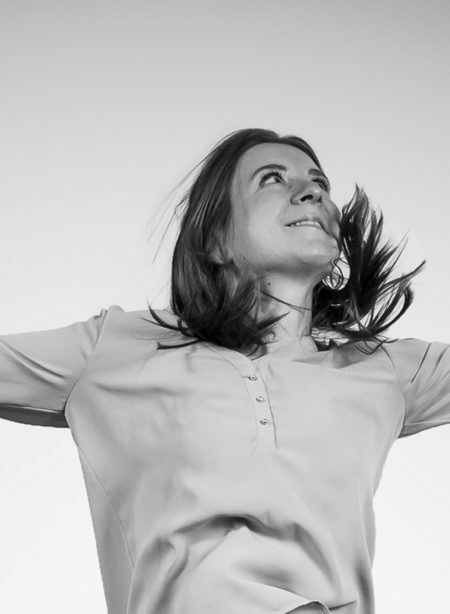 A qualified coach, passionate about the human issues of change and transformation, she develops an engagement with her public and private clients inspired by behavioral economics and neuroscience. An activist committed to good cooking, Anne has been fighting against junk food for many years by developing original, useful and healthy recipes. She applies her know-how and experience to the service of her enthusiastic relatives, who wish to expand their experience with taste, enjoy their desires and give life to their dinners. Always in search of new ideas, amazing flavors and daring combinations, inspired by the greatest chefs, Anne scours the markets for good products before passionately tackling the task of cooking, aiming to never disappoint guests, from finger food to coffee. 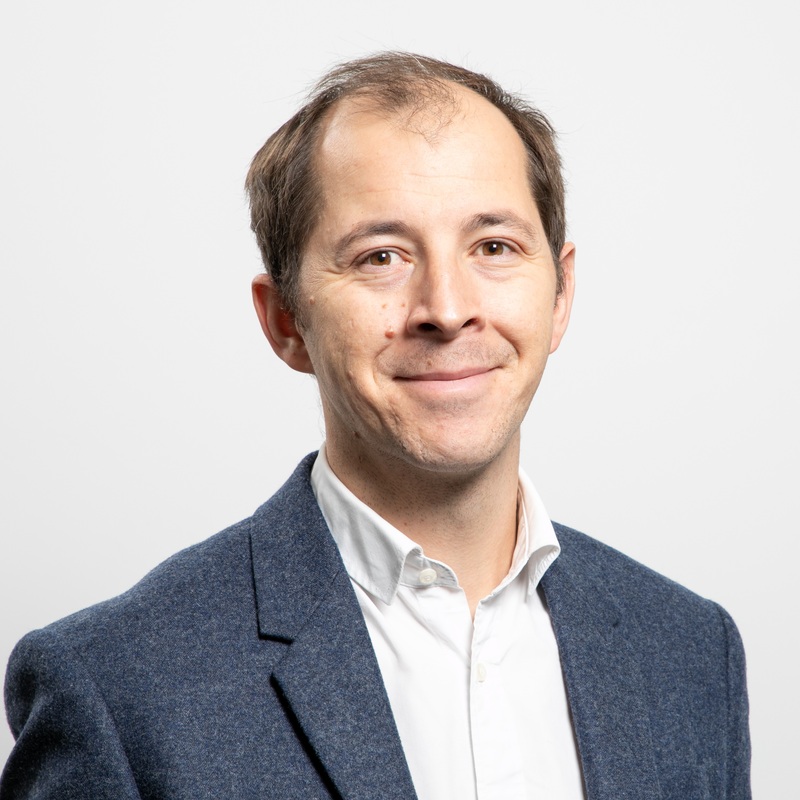 As a specialist in institutional and political communication, who previously worked at Havas-Euro RSCG, Sylvain is an expert of nudge consulting. 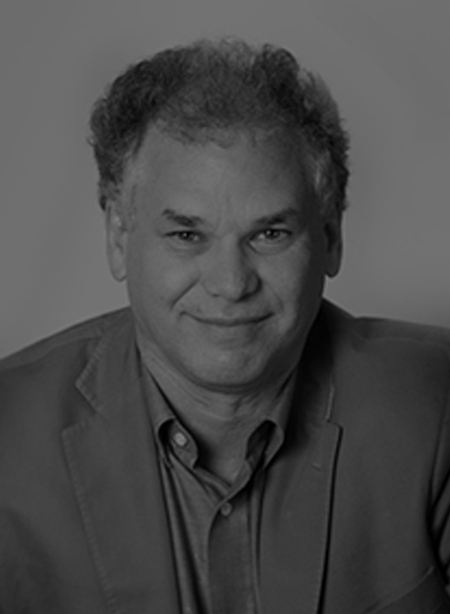 He is a trusted advisor to major corporations and public sector entities in the transformation of their communications programs, through the application of behavioral science and “nudge” principles. He specializes in engagement, whether we’re talking about a political party or for an NGO. He worked on numerous election campaigns in France (2017’s Presidential race) and internationally (for campaigns in Peru, Chile, Colombia). He is known for his expertise developing the relationship between local governments and their citizens through the application of simple “nudges” and deep expertise in behavioral economics. Sylvain is an extremely rare specimen of a protected species: a native of Creuse (One of the original 83 departments created during the French Revolution, Creuse is a region in Central France whose population peaked in 1851. Its inhabitants of which have been declining ever since… 120,365 identified by the last scientific count.). Concerned with preserving the fame of Creuse all across the globe, he has become a kind of cultural ambassador for the region particularly across LatAm. You might bump into him on top of Machu Picchu or on the ramparts of Cartagena, exposing the locals to nudge, but we think this is just to satisfy his cravings for salsa. 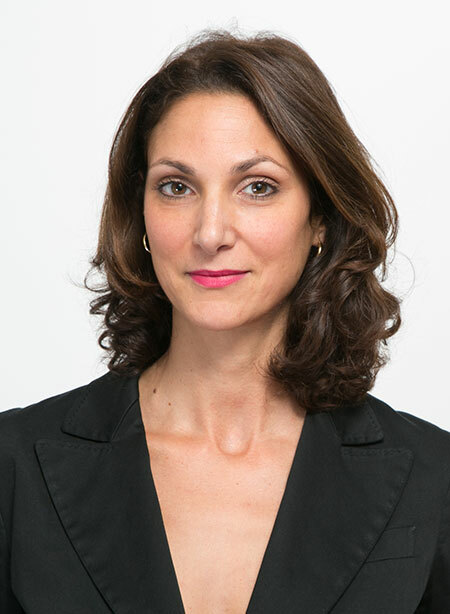 After receiving her MBA in risk management at Rennes’ Institute of Political Studies and an international experience (Chile, Morocco), Pauline joined the Added Value agency in 2008 as an intern and then junior consultant. 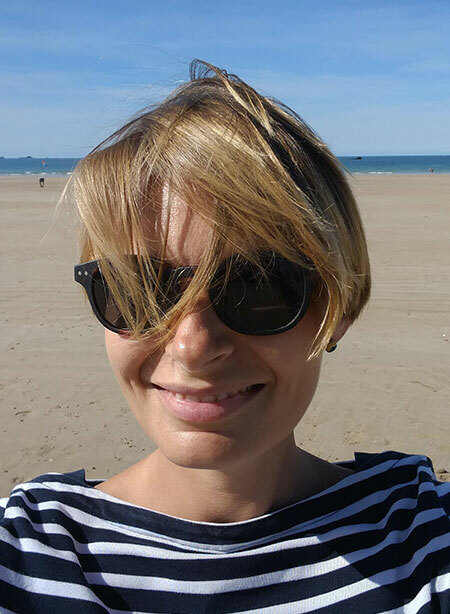 Already passionate about enriching innovation, thanks to a deep curiosity about individual’s psychology, she joined BVA’s Qualitative Business Unit in 2011 and then transferred to join the Nudge adventure in 2014. Today, as a Director Consultant of the BVA Nudge Unit, she’s most particularly focused on Services and the “Green” movement. Pauline has tried desperately to cure her irrationality at the BVA Nudge Unit for the last 4 years. Despite this, she still believes that calories ingested in a plane don’t count, since there’s no time in planes. Not really scientific, she’s more of a literary person and distinguishes herself as the Nudge Unit “transcriptions machine”. Her best transcriptions? “Butter is life” “The verb ‘to come’, it’s not the same as ‘to go’!” “Feelings are felt”. Finally… with such a family name… she is often overheard to say: Breton forever ! 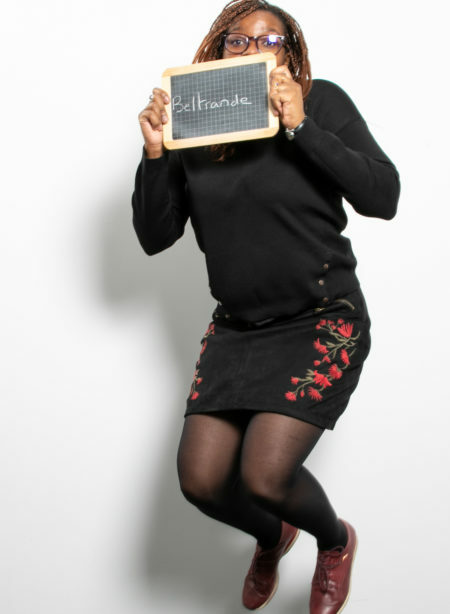 Ever since her studies in sociology and political communication, Beltrande has been interested in human behaviors and what influences them. 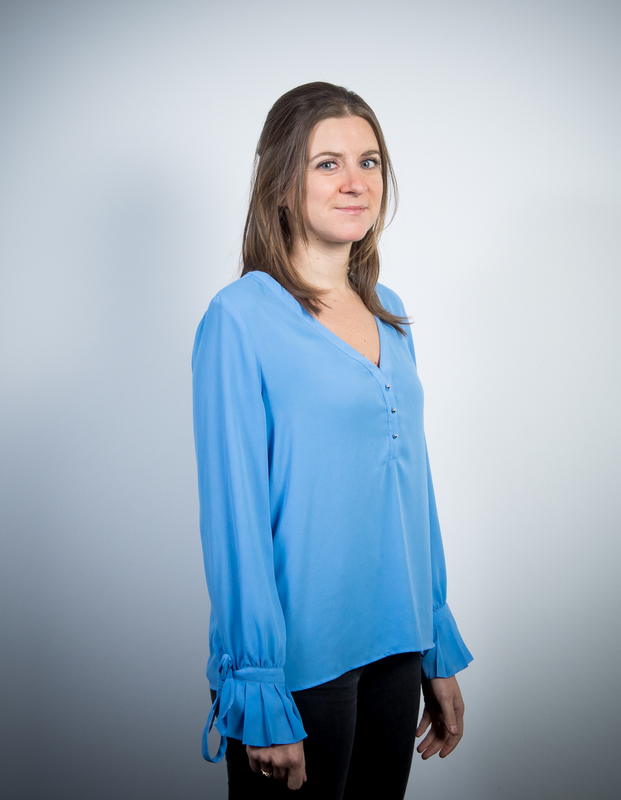 Previously part of Havas-Euro RSCG and of the IFOP, she joined BVA in 2012 and started working for the Nudge Unit since its creation in 2013. Specializing in Public Policies, Health and Sustainable development, she has managed many significant projects for public (community, ministry, public institutions) and private clients. She regularly participates as a visiting professor in various Master’s programs to lecture about qualitative studies and behavioral economics applied to communication problems. Beltrande is a movie, TV series fan and superheroes lover, who always dreamt of possessing superpowers. As her favorite superheroine, Sailor Moon, her motto is to always act “for love and justice” (yes, we think this is plagiarism). Following that goal, she helps elders to cross the road, climbs trees to catch kids’ lost balls, brings back lost cats… which she thinks of as “nudges for good” to help everyone to adopt the correct behaviors for making the planet a better place. All in all, she might very well have found that nudges are her own superpower! 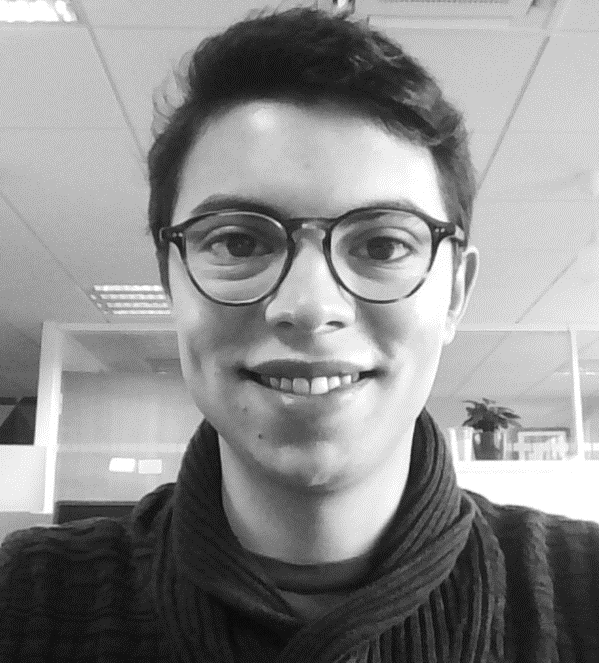 Matthieu joined BVA in January 2018, having worked previously as a Strategic Planner at Ogilvy & Mather and as a Consulting Director at Taddeo. As Associate Director of the BVA Nudge Unit, he assists Executives and Communication Directors of major private and public groups. He creates effective communication and engagement mechanisms in brand strategy and internal & public communication. With Nudge, he has found a new and fertile playground for designing and deploying strategies based on true consumer and employee behavior. Matthieu is left-handed… and it shows. He loves tennis, but tennis does not love him. He takes care of his plants, but they never live long. He assembles tables that with a snap of his fingers collapse in an instant. 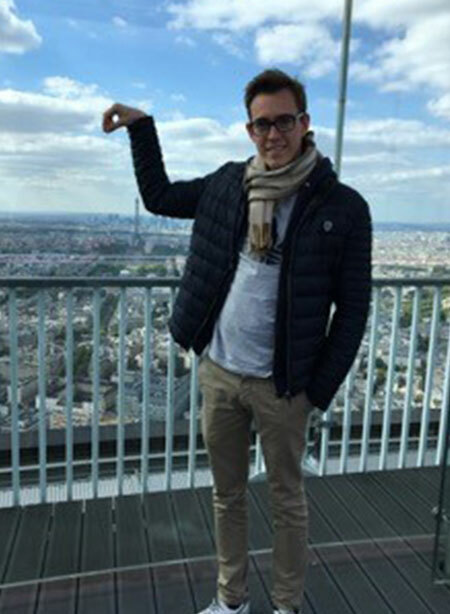 In short, Matthieu does not have a green hand or a lucky hand. But both of the sides of his brain are right. He will undoubtedly find original ideas for right-handed or left-handed people, everyone who wants to engage with him. 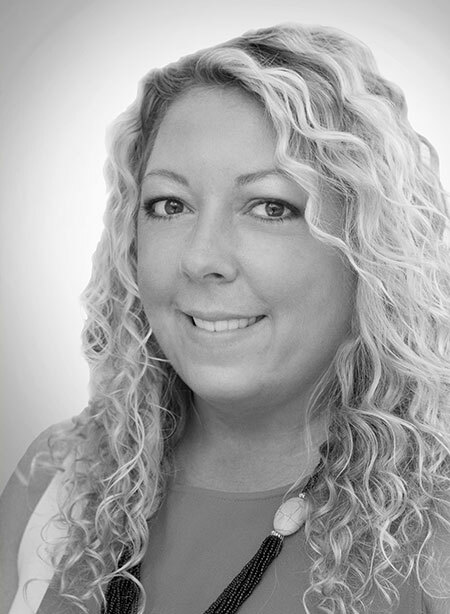 A Consultancy Director in the BVA Nudge Unit, Anne leads the development of our management solutions for clients. Since she joined the BVA Nudge Unit, she has been helping executive leaders and HR managers reach objectives including: enhancing diversity & inclusion actions; optimizing decision making; debiasing hiring and people development; increasing individual well-being and efficiency; boosting internal communication; encouraging safety at work; maximizing the impacts of training programs; or fostering staff engagement. Her clients are decision makers in European and global organizations – including the United Nations, L’Oréal, BNP Paribas or Orange. Prior to joining the BVA Nudge Unit, Anne has been a strategic consultant for 5 years, and a management advisor for 5 years. A self-proclaimed natural-born singer with a very generous spirit, Anne loves to share her gift and passion with whoever is around. Her specialty? Performing at all unrequested occasions: national anthems at the beginning of soccer games, background music at the movies, TV commercials, friends’ birthdays and family gatherings. Should you desire her awkward and unnecessary contribution at the next event of your choice, do let her know! 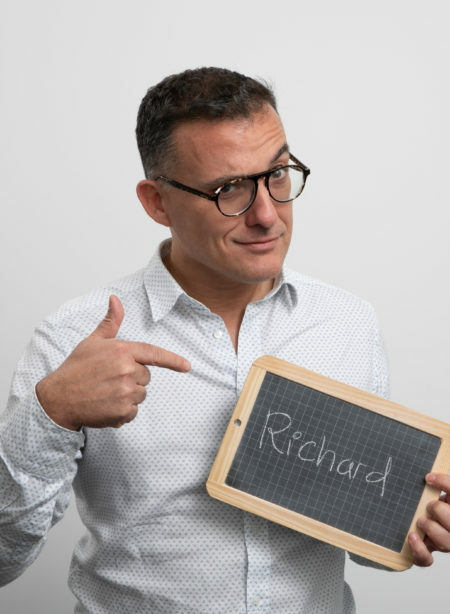 Richard is a VP of the BVA Nudge Unit – UK, and one of the most experienced practitioners using behavioral science in communications in the UK – with over fifteen years’ experience. 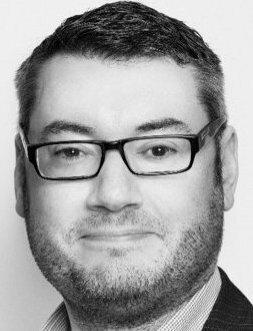 Richard has worked in senior strategic roles for both local and central government in Australia and the UK, and at four of the ‘big five’ global communication networks. Whilst in Australia he created their first Behavior Change Unit, and his strategy for the #XTL campaign (a social media campaign addressing domestic violence) won the Global Festival of Media Campaign of the Year in 2014, and he also led the development of the world’s most successful stop smoking mobile app (My QuitBuddy). He returned to the UK in 2015 to become the first dedicated Head of Ogilvy Change, a global behavioral practice. Previously he developed the first government training program for behavior change communications at the COI in 2010, and since then has conducted training for call centre personnel, marketing directors, press officers, media planners, creatives and everything in between. He is a frequent conference speaker, and as founder of Communication Science Group worked as a behavioral consultant for a number of major brands and agencies. He is a board member of the Association for Business Psychology, an industry body that is the home and voice of business psychologyin the UK by promoting professional excellence and a community of practice. Richard is a Cambridge law graduate, and lives with his wife on the Kent coast within sight of our friends and colleagues in Europe. A keen sports fan, he is also a non-executive Director of BaseballSoftballUK, which works to increase participation in the sports of baseball and softball in the UK. Richard is keenly aware of his own optimism bias – the human tendency to over-estimate future positive events. This is largely because of his lifelong support of the perennially under-achieving Ipswich Town and England football teams, as well as the St. Louis Cardinals baseball team. He also exemplifies the intention-action gap (the difference between what we say we want to do and what we actually do) through his love of good food and wine, but his complete inability to exercise sufficiently to compensate. 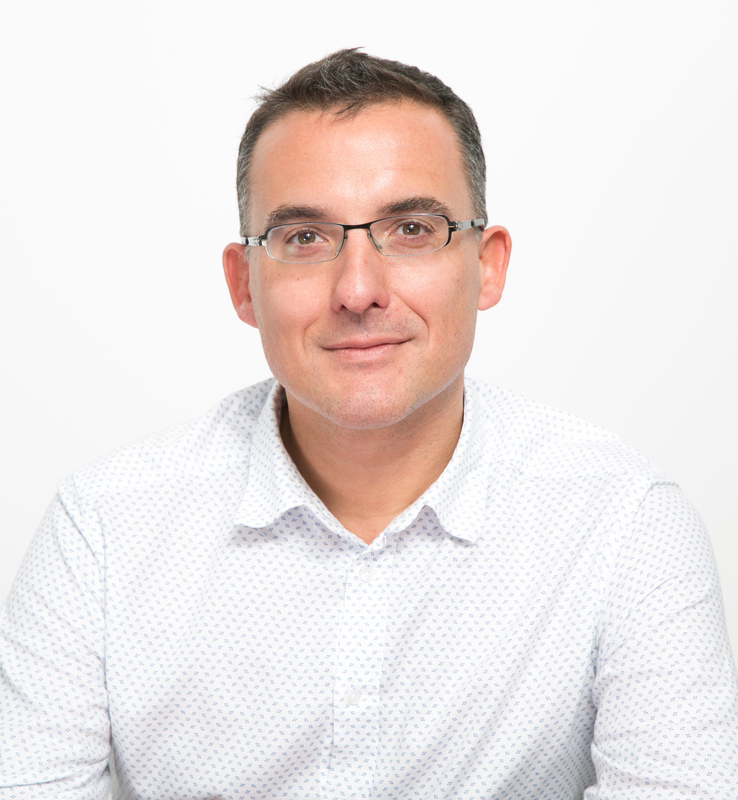 Richard is one of the Co-founder of the BVA nudge-unit, and former Marketing & Innovation Director at BVA group until he decided to partly-relocate in Shanghai to support group development projects in Asia (PRS-INVIVO). 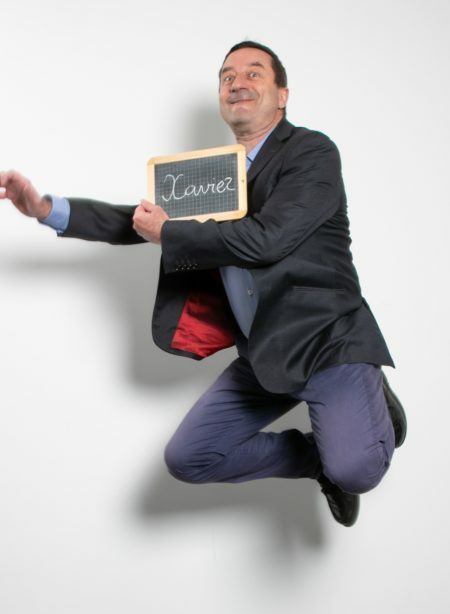 Graduated from ICN Business-School, Richard is a seasoned marketer with more than 20 years’ experience on the client’s side (Danone, United-Biscuits, Mondelez). Over the last 10 years, he has helped accelerating BVA transformation, and developed hybrid consulting capabilities combining Customer experience, UX, Design thinking and Behavioral Science. 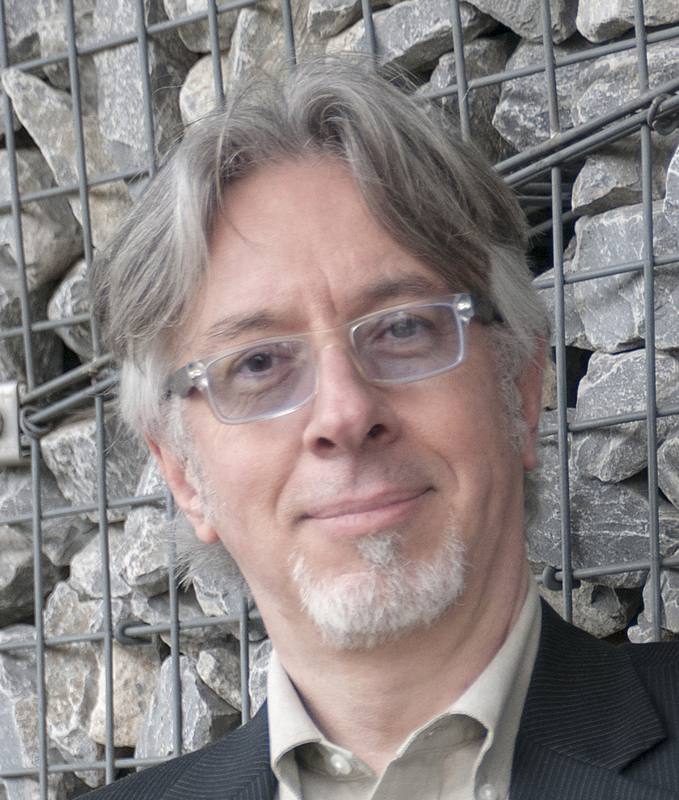 Author of many award-winning papers https://richard-bordenave.com/, lecturer, and regular columnist in HBR.fr, Richard is also VP of Nudge-France and active supporter of AIM European initiative of “Brands Nudging for Good” (http://www.nudgingforgood.com/). Since he received his first magic box, at the age of 8, Richard has become passionate about close-up magic. He even practiced as a semi-pro when he was studying in New-York at FIT, and used to sell his creations at Magic conventions. Now retired from the show-biz, he is still studying the psychological drivers of attention and “misdirection”from real-life situations. On top of being passionate about visual arts, Richard studied Systemic strategic problem solving (Palo-alto school) and it’s connection with ancient Asian philosophy (Buddhism and Confucianism) as a personal path to growth. This is probably one of the reasons that motivated his new way of life: in between Asian countries and Paris. 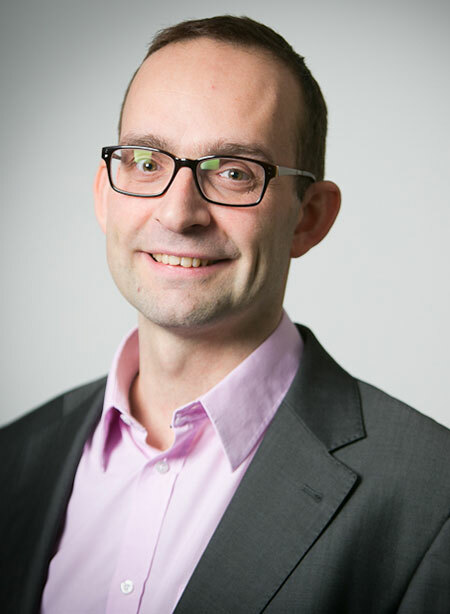 Koen is a special adviser to the BVA Nudge Unit, focusing on organizational transformation and change. For more than 25 years, he has been helping clients address organizational challenges and pursue opportunities for operating more effectively. Working with both companies in commerce and industry and organizations in the public sector around the world, Koen uses insights from behavioral economics and behavioral science to diagnose issues, formulate solutions and implement change. He shares a passion for the ethical application of behavioral insights with the other members of the Nudge Unit. Koen also blogs extensively on how these insights help explain our day-to-day behavior at work and outside work, and how they can be used to make our lives better. He holds a Masters degree in Engineering from Brussels Free University. Koen is an amateur jazz musician – in both senses of the word: he plays and composes just for the love of the music, and his competence is nowhere near professional. Jazz also creeps into his work: he believes interesting harmony does not come from neatly regimented notes, but from managed dissonance, both in music and in organizations – where an ability to improvise is often very useful, if not essential, too. 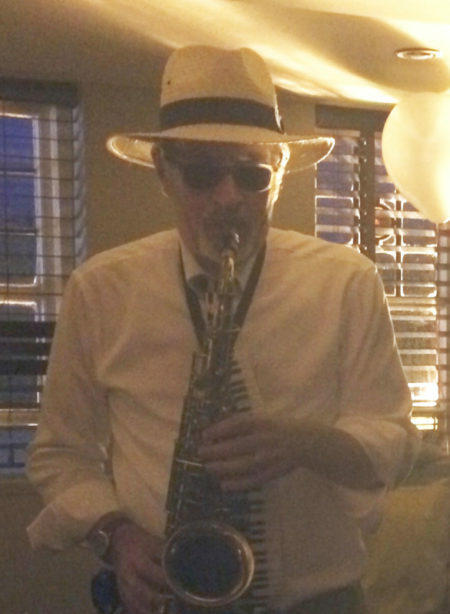 He plays the piano, the guitar and tenor, alto and soprano saxophones (badly). 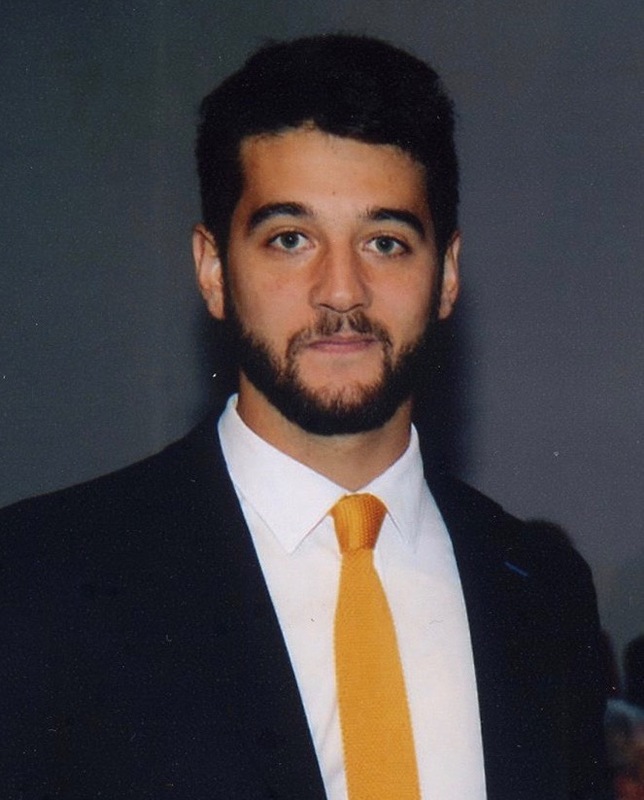 Ignacio graduated from the University of Chile in Economics in 2018. After several internships – notably, as a financial analyst – and an experience as an assistant professor of economics, he chose to dedicate himself to Behavioral Economics. He entered BVA Nudge Unit Latam in 2018 as a Nudge Project Director and focuses particularly on banking, infrastructures and transport sectors. 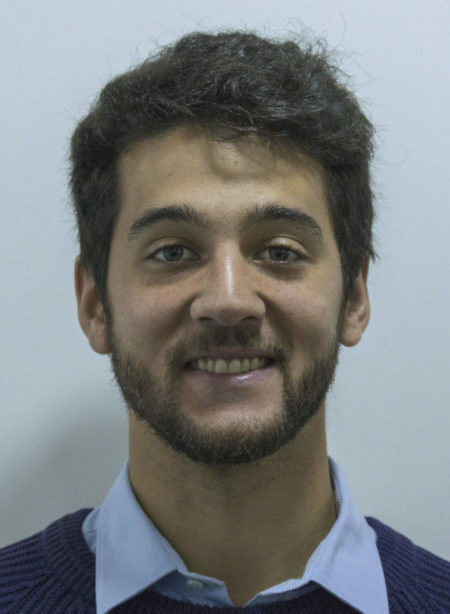 Ignacio is a founding member and the treasurer of the Chile Nudge Foundation. As far as he can remember, Ignacio always played football during his free time, during class, even during dinner, only stopping a few minutes a day to wash himself. Sadly, no trainer ever thought him good enough to play for his favorite team – a great loss for the team, according to Ignacio. 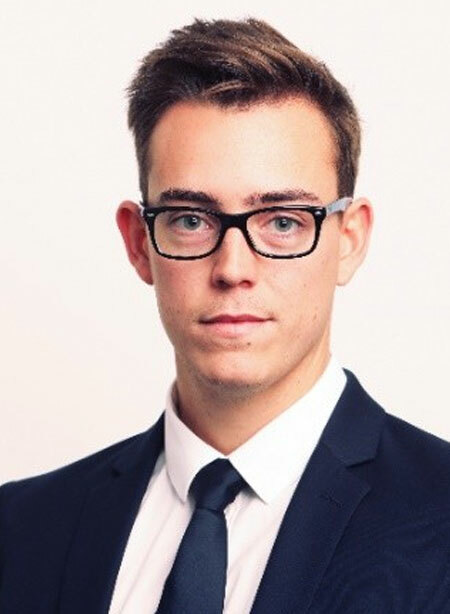 After graduating from Poitiers’ IAE business school, Kevin joined the BVA group as an Analyst. He was then recruited as a BVA Nudge Unit Consultant. Specialized in communication for private sector clients, Kevin applies his behavioral economics knowledge to maximize the impact of communication campaigns. Fascinated by the impact of cognitive bias on behavior, Kevin treats himself as a true guinea pig, experimenting to see what impacts his own day to day behavior. He self identifies as having an oversized ego and admits his deep love for any kind of gratification, so it’s easy to obtain almost anything from him, knowing his “drivers of influence”. Inspired by the expansive applications of BE through nudges, he is currently writing a book about nudge and flirting. A consultant, Alice joined BVA Nudge Unit following her end-of-course internship in cognitive sciences. 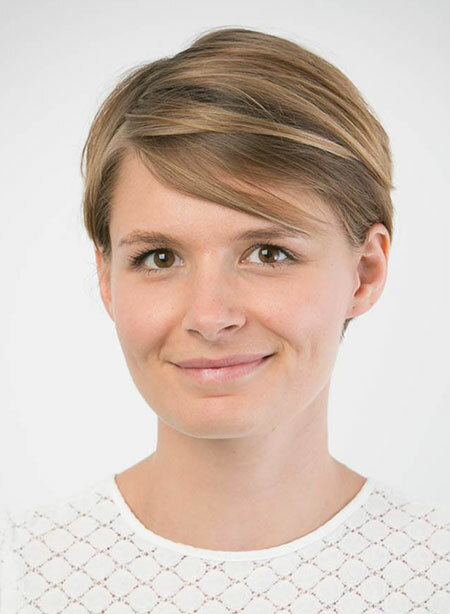 Alice has already worked on projects for both public and private sector actors in various domains. Alice is from Bordeaux ! She doesn’t lose hope that “gavé”, “poche” or “chocolatine” become words adopted by all Parisians. From time to time, when another Nudger from BVA Nudge Unit lets one of these words out, she becomes even more motivated in this quest. Living on the 6th floor, this chocolate-lover nudges herself by putting bars of chocolate in her mailbox. Nothing wrong here. 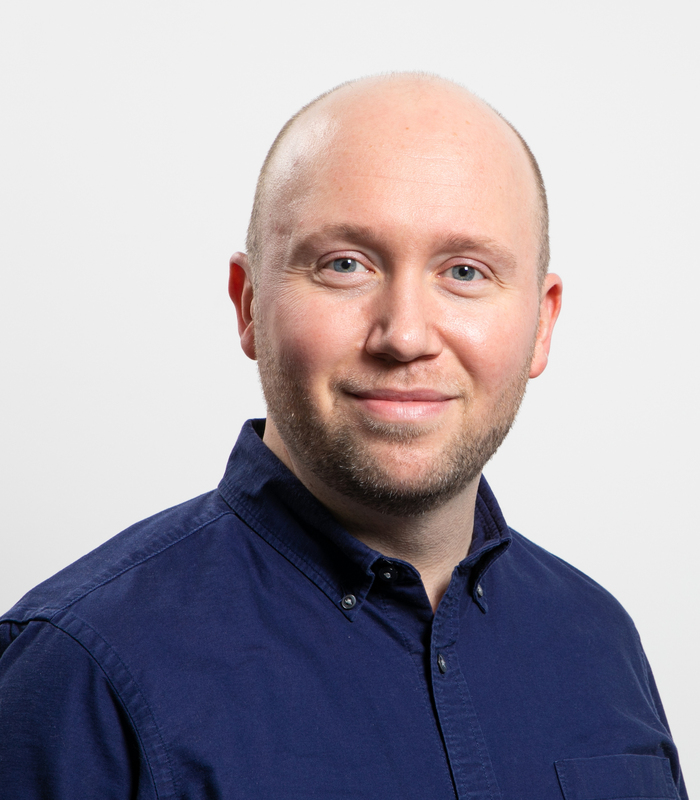 Charles joined BVA Nudge Unit in 2018, where he is a consultant for both private and public sector clients. 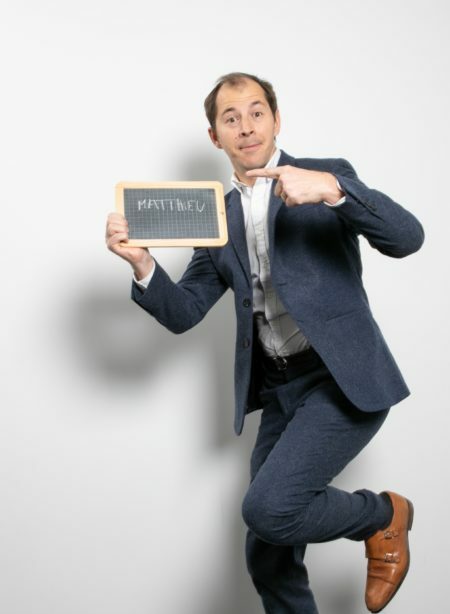 Passionate about public opinion and more generally about understanding what people think, he has experiences in the mass-media sector (Groupe France Télévisions) and in market and social research. Curious about everything, he is currently aiming to develop his knowledge about change management and nudging. He graduated from Paris-Dauphine PSL Research University in Public Policies. Charles has three passions : talking endlessly about any social issue, going to concerts and buying clothes. The first one tends to bore his family and friends and the third one may be a bit expensive to him. So on, he compensates by constantly benchmarking what he will, someday, buy and wear, while remaking the world in his head. His love of music being his only satisfying hobby, he regularly participates in organizing concerts in Paris with some friends of his. Really enthusiastic about British and more broadly Western Europe’s New Wave and post-punk music, he still hopes that listening to music will give him a proper British accent – and, why not, the basis of German. Please don’t let him know that it’s a lost cause. 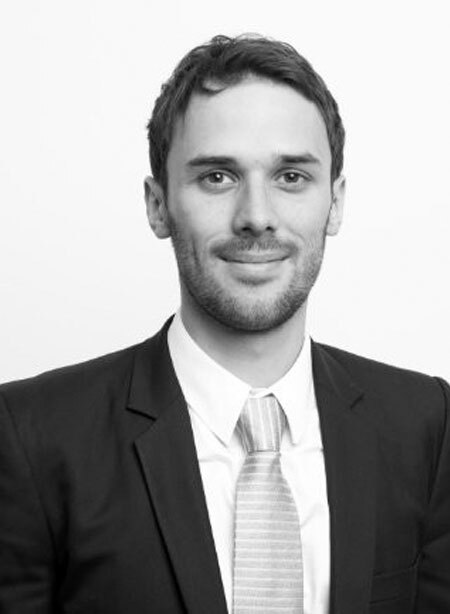 Gabriel is a consultant for private sector clients at BVA Nudge Unit. He has various experiences, from advertising to brand strategy and has worked for 2 years as an editorial consultant for a leading global tech brand, prior to joining the team. His ambition now is to further grow his “nudger’s” skill to design and execute communications with impact. Gabriel studied at CELSA – Paris Sorbonne. Gabriel is the clumsiest person you’ll meet. Locking himself outside or dropping something fragile for no reason are his daily routine. 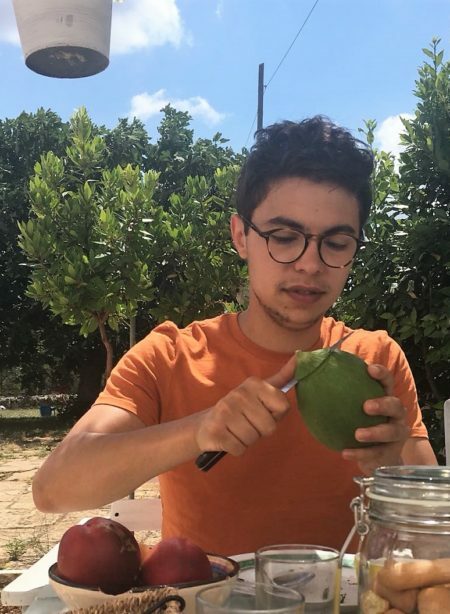 You’ll see him doing a very dangerous activity on the adjacent picture: cutting a melon ! With a knife ! He tried to nudge himself out of it, but at this point a hammer might be more efficient. Yet he doesn’t give up and still hopes to build something using his hands (and not hurting himself in the process) someday. In the meantime, he tries using his head instead – sometimes it works. 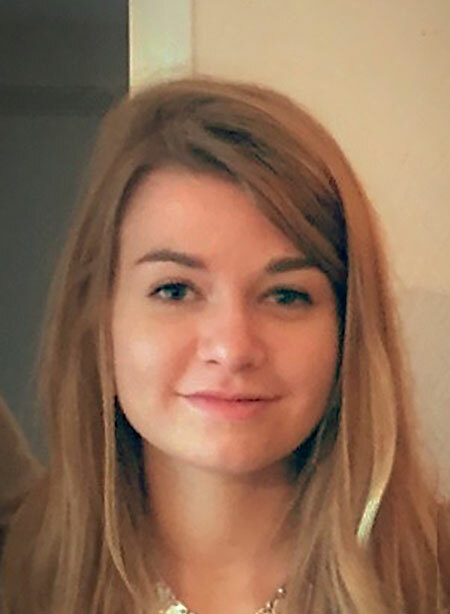 Laurine joined BVA in January 2018. She graduated in Marketing and Cultural Communication and Lille’s Masters degree in Public Communication and Participative Democracy. She principally works for public institutions and nudges their communications. She formerly was a political activist, participated in General Elections campaigns and was a campaigner and consultant to a Mayor. Laurine likes to break stereotypes. In one afternoon, she might swap her dancing shoes to soccer cleats and move from graceful steps to sliding tackles. What would an athlete be without an unconditional love for food ? Constantly starving, she has adopted precise hours for snacking…. that we would not like to count. By the way, when too far from Lille’s Welchs and Maroilles, she gets bored !